On a weekend where I had access to Nier: Automata and The Legend of Zelda: Breath of the Wild, I spent at least two hours curled up with my iPad, paddling balls at breakfast. Well-played, Breakforcist. Whatever the case, I dropped my four dollars on the collaboration between Lucid Sheep Games’ Kevin John and artist/composer Pete Ellison, and I’ve been very pleased indeed. The gameplay is nice and simple. Waffles fall from the sky (possessed waffles no less,) and the player must bat the ball around to destroy them before they reach the bottom of the screen. Power-ups add bacon laser, multi-ball, giant pancakes and more to the mix, and it’s all tied together with a series of 50 progressively tougher challenges that unlock iOS stickers and new music tracks. 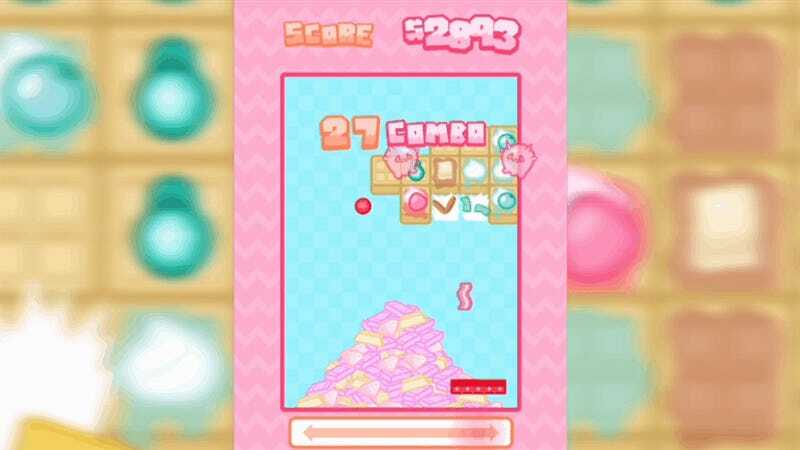 Breakforcist is now available on iTunes, with an eventual Android release on the way.